Austrian psychiatrists complicit in the atrocities perpetrated by their Nazi German colleagues. 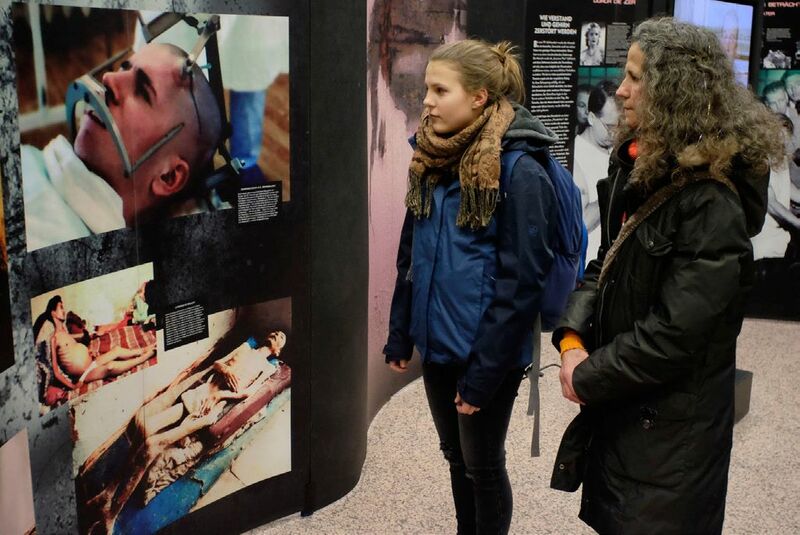 VIENNA, March 8, 2018	(Newswire.com) - These harsh words were the theme of the "Psychiatry: An Industry of Death" traveling exhibit, which riveted visitors in Vienna and sparked activists to commit themselves to bringing psychiatry under the law in Austria. 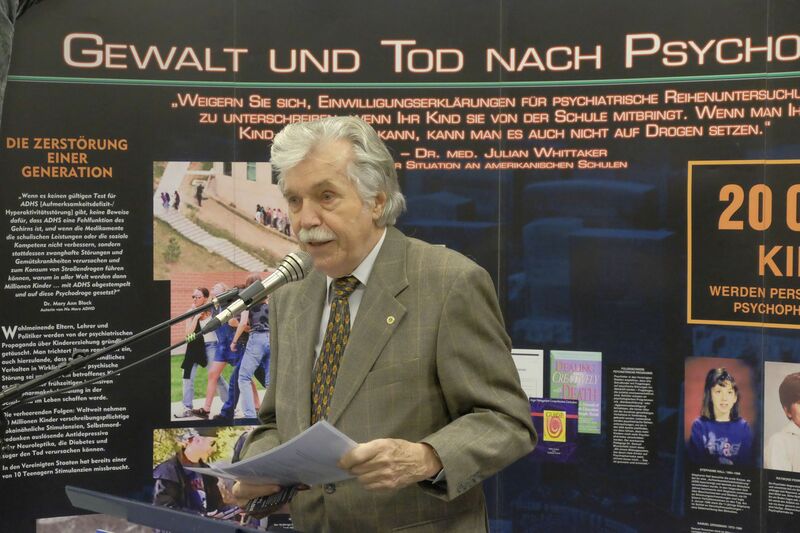 In his keynote address, Dr. Karlheinz Demel, past president of the Court of Justice, spoke of Austrian psychiatrists’ betrayal of humanity by their systematic killing of mental patients. One of the 14 exhibit panels documents psychiatry’s role in the Holocaust. 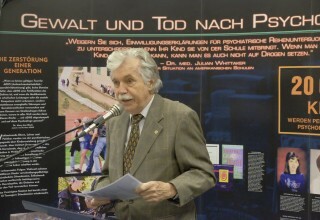 Dr. Demel spoke of a prime example of this: Heinrich Gross, an Austrian Nazi psychiatrist who murdered children under his care at the Am Spiegelgrund youth care facility and harvested their brains “for further study.” Despite this, Gross escaped prosecution and served as a “court expert” until 1997 when Demel stripped him of this status. According to Gross’s obituary in The New York Times, he was put on trial three times, but none ever reached a verdict. In a trial in the 1950’s, the case against him was thrown out because of legal technicalities. A case in the 1980’s was dismissed because the 30-year statute of limitations on manslaughter had expired. A third trial, in 2000, in which Dr. Gross was accused of complicity in the murder of nine handicapped children who had died as a result of abuse, was suspended after a psychiatrist testified that Gross was unfit for trial because of advanced dementia. 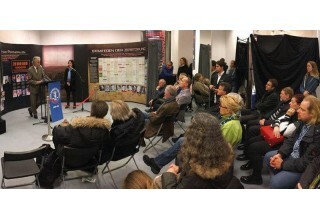 The president of the Citizens Commission on Human Rights Austria chapter greeted those attending the exhibit’s opening and presented an overview of CCHR’s successful work in exposing psychiatric abuse and crime and protecting the rights of mental patients. He described the exhibit’s numerous documentary films with more than 160 interviews of survivors of psychiatry, and experts in the fields of law, medicine, and mental health. Other panels educated visitors on the devastating effects of administering psychotropic drugs to babies, toddlers, schoolchildren, pregnant women and soldiers; skyrocketing suicide rates internationally and their direct ratio to the increase of antidepressant and antipsychotic prescriptions; and psychiatrists’ abuse of artists, senior citizens, and political prisoners. Guests touring the exhibit on Mariahilfer Straße, Vienna’s most prominent shopping street, included lawyers, educators, and physicians. Thousands walking along the floor-to-ceiling windows of the venue stopped to read the panels—and many walked inside to learn more. One woman, whose child was the victim of psychotropic drugs prescribed for ADHD, volunteered to take on getting CCHR’s brochures into the hands of parents to see to the safety of their children. Citizens Commission on Human Rights (CCHR) is a nonprofit charitable mental health watchdog co-founded in 1969 by the Church of Scientology and professor of psychiatry Dr. Thomas Szasz. 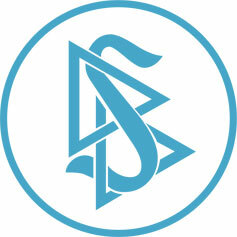 It is dedicated to eradicating psychiatric abuse and ensuring patient protection.